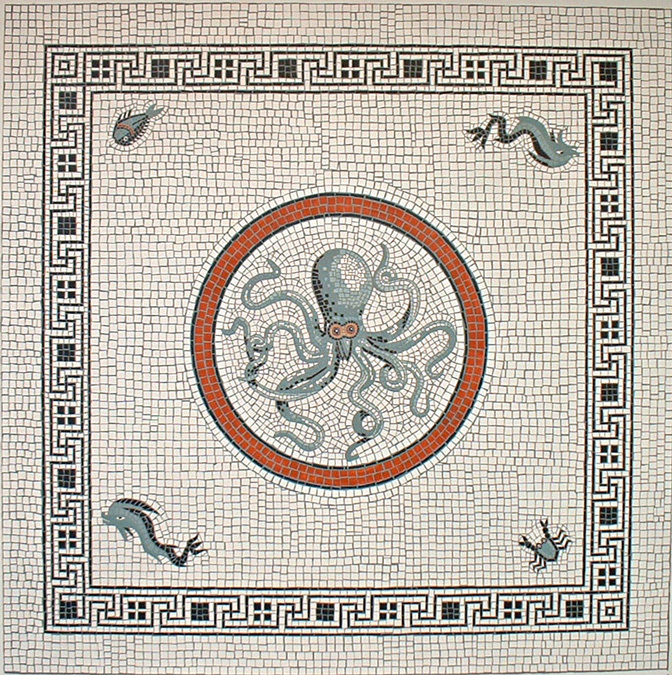 This is a painted canvas floorcloth made to imitate the tile mosaic floors that were found in Pompeii and Herculaneum. The composition is original, and some of the smaller elements are lifted from existing Roman mosaics. The octopus itself is my own original design. The piece is approximately 5’ x 5’ and is done in acrylic paint on prepared canvas, then sealed with a durable, but flexible varnish.